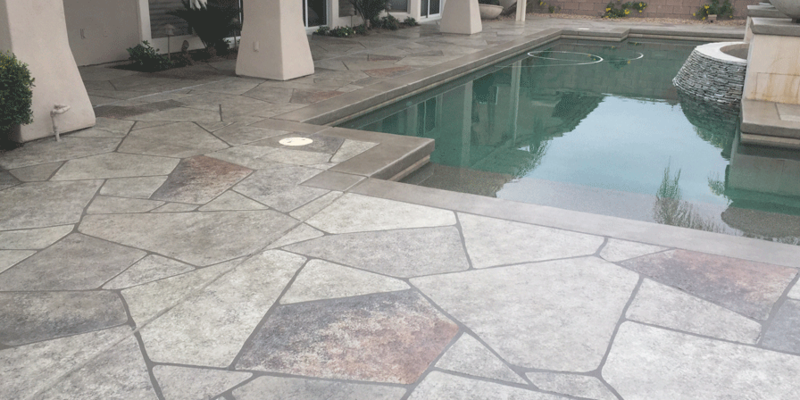 Monaco Concrete Art Re-Surfacing System is not only a great alternative to removing and replacing old concrete and installing natural stone, but we find, for many of our clients, it is the preferred method of beautifying their existing concrete Patios, Pool Decks, Driveways and Entryways. 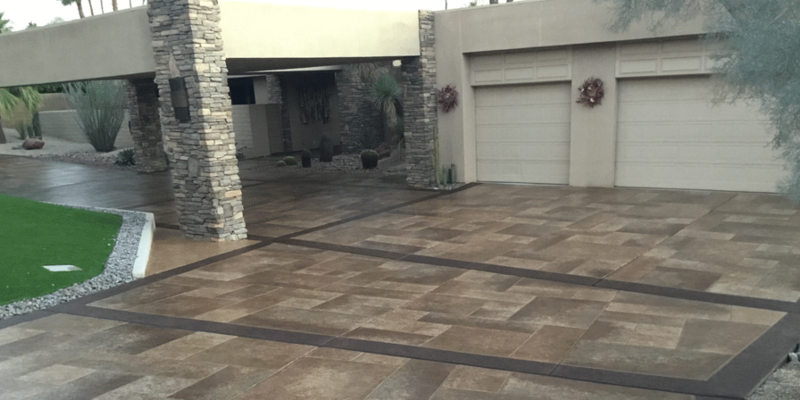 The MC Art System offers the opportunity to match existing colors inside or outside the home, place “grout” lines exactly as you may desire, and be more flexible in design. 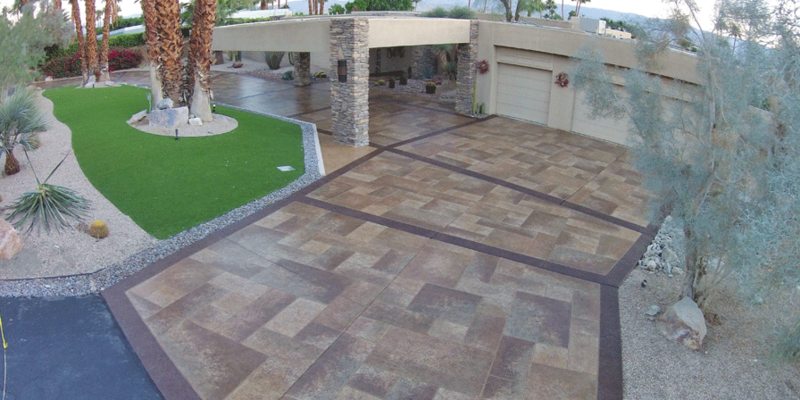 All Designs, textures & colors are handcrafted for more of a custom fitted look for your home. 20 Years’ experience leads us to employ a unique application method to the industry by applying multiple coats, slowly building the layers to create a deep, rich foundation of texture and color. This also provides a strong adherence to the existing concrete preventing chipping or peeling. Are you tired of cleaning the tire marks off of your driveway? With the MC Art Re-Surfacing System you can say BYE BYE TIRE MARKS! 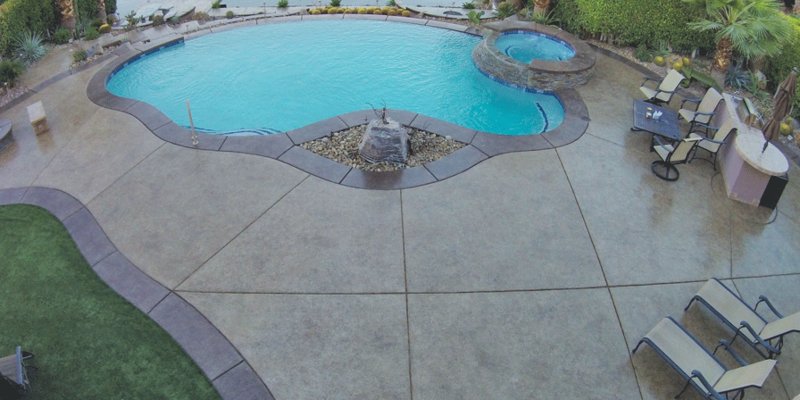 We don’t just think we offer the Best Re-Surfacing System in the business; we know it! 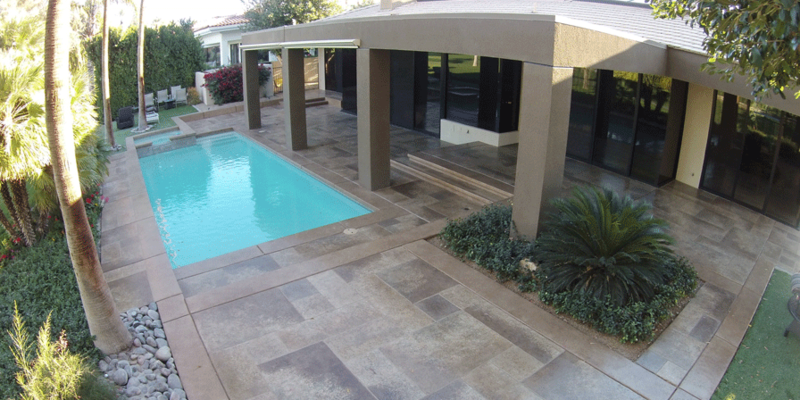 WARRANTY: We are so sure of the longevity and quality of our finishes, that we offer lifetime warranties as long as you contract with Monaco to re-apply sealer every five years. This is unheard of in our industry. 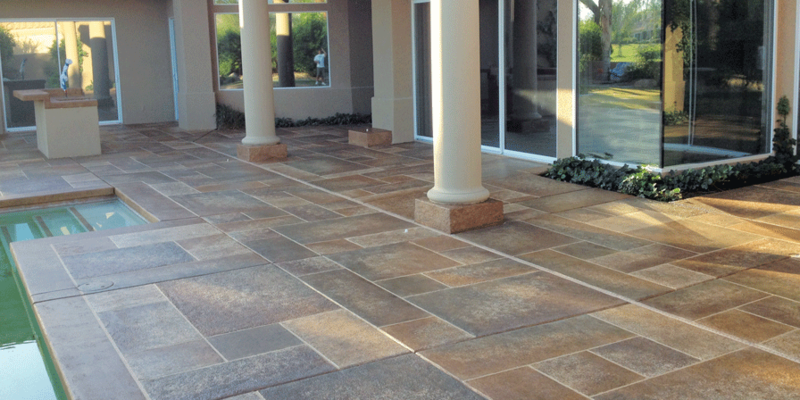 Call Today for a Free Estimate and see the Craftsmen of Monaco create a Masterpiece and The Final Touch to your Beautiful Home.